Are Your Manufacturing Needs Being Met? We design our process around your products. Since 1990 our investment & innovation in our staff and equipment has proven our ability to delivery on PRICE, QUALITY & OTD. 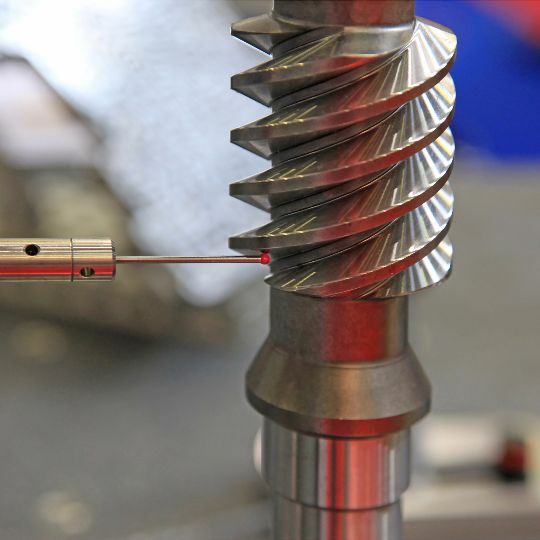 We are able to hold tolerances as close as +/- .0002 & work with all aerospace, medical & commercial materials. We offer full assembling and testing assuring that each system is operation upon shipment. This capability allows our customers to minimize the installation and start up phases, ultimately reaching the quickest path toward full rate operation of their systems. Our specialty! The route to lower cost & delivery is our Dedicated Capacity Solution. Long Term Contracts, Blanket Orders or a Letter of Intent will give you the rock bottom pricing & in certain cases lead times as short as one week along with control of our shop floor schedule without the hassle of investment, staffing & management. We understand sourcing prototype work can be difficult. In an effort to save our customers the most time & money we focus our prototyping & job shop services to projects leading to repeat production. Are your needs sales driven? No problem, many of our customers participate in our ability to stock & if needed manage inventory so when you need product you can have it same or next day. Kanban & VMI are our most common but we can design a process around your needs. Are you cutting multiple PO’s a day? Are your lines down from a supplier late on a part to complete your kit or assembly? All processes, services & steps needed to complete your orders will be managed completely by us giving you the ease of purchasing & confidence all products in your project or kit will be delivered on time keeping your lines up! Customer satisfaction & communication is something all clients receive no matter how much business we do with you. All our current clients can attest to that. Normal response times to emails or calls are same or next day. Our current ERP system paired with daily production updates give us the ability to stay on top of things. We can design our communication to fit you: email, calls, personal visits, web based or conference calls…we accommodate you. We understand all projects and customers require different needs and have successfully found we can get you the information you need to keep your company moving forward. You will find working with us will give you the confidence you desire, resulting in a stress free relationship. No one values highly trained employees better than us. Our senior staff is committed to passing knowledge along to new employees to ensure we create a culture around our core values and to exceed customer expectations. Continual internal and external training has allowed our staff to stay above the competition and utilize the technology we invest in to it’s fullest potential. This business model has proven to separate our company from our competition by having fewer but more highly skilled & highly paid employees that allow our daily production metrics to run above 92% each day. Ensuring your product is on time. TOP SHOPS Benchmarks range from 70-80% keeping us well above the rest. Technology advances so quickly these days and we take full advantage of that, thus passing the benefits onto our customers. 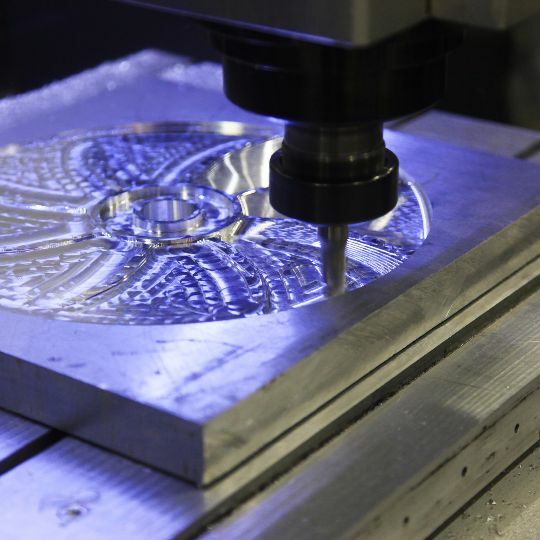 From our CNC equipment, computer technology and ERP System, we are constantly inquiring, reading, learning and investing in the latest technology to stay focused on the task at hand ” PRICE – QUALITY – OTD”. Our equipment is a costly expense and only getting more expensive. Our initiatives are not to buy the latest most expensive machines but to invest in the most productive user friendly machinery that pair well with our ancillary equipment to ensure we utilize these to the fullest. 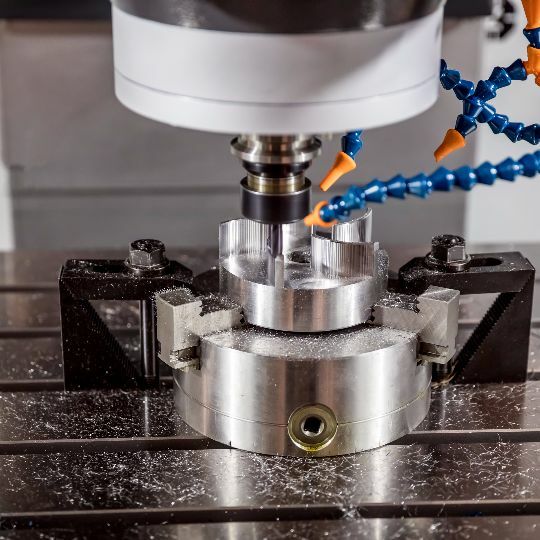 Our latest moves have been toward unattended machining, allowing staff to be productive in other areas like quality control, assembly & testing…while maintaining production requirements. The challenge of building trustworthy relationships, business to business, is tough. We are proud to say we have a 100% customer retention rate and work hard to not only sustain our customers but continually improve to better serve you in a competitive marketplace. Trust, Transparency & Communication, are core values that allow us to help you grow with us. Our success is first based upon our clients success, knowing this gives you the confidence to expand within our company. Let’s setup a meeting to discuss your needs and how we can help you not only grow with new projects but become more successful on your current ones too. Prompt Machine was established in 1990. We are always open to building new relationships with ethical companies. More often that not we are able to create a process around your needs but in the event we can’t, we try and connect you with someone who can. We like to see U.S. manufacturing succeed! Our engineering staff has the capability of handling a variety of document formats including importing CAD models directly, PDF files, scanning of existing parts using fixed and portable CMMs and even taking ideas sketched out on a piece of paper. We can use any of these formats to create a three-dimensional model of individual parts and/or whole assemblies in Solid Works. Facility Capacity – We only use 40% of our current building capacity. Plenty of room for you to expand with us. Equipment Capacity – We currently have 34% open machine capacity. We usually make capital investments when we get towards 15-20% but normally we dedicate manufacturing equipment to long term contracts or blanket orders so capacity is hardly an issue. All shapes, sizes, materials & complexities. More often than not the work we do is no longer than 30″ X 20″ X 12″. We do not source specific work more than we try to get customers to send us work that fits current dedicated manufacturing cells to ensure they get the lowest price and fastest start up time. But we have and can design new capacity around your current or upcoming project.